Our coverage of Game of Thrones season 8 streams live Mondays and Wednesdays at 7pm eastern (11pm GMT) and Saturdays at 2pm eastern (6pm GMT). Our series on Fire and Blood is on hiatus until after this season of Game of Thrones. Continue with our Blackfyre Rebellions series with Part 8 – Bloodraven 2, continue our Manderly series with House Manderly: Part 2 – Winter is Coming to White Harbor, or jump into a new topic with our latest episode on the Rhoynar: Nymeria: Part 1 – Mother Rhoyne. Aziz has been streaming Crusader Kings 2: A Game of Thrones – follow along with his House Hoare storyline here. Ash was joined by Lady Gwyn (Radio Westeros), Haley (The Manimals & DrinkingGOT), Chloe (Drunk ASOIAF (and History), Ice & Fire Con) & Tara Lynne (The Geekiary, Ice & Fire Con) to discuss Why We Love: The Animals of ASOIAF. We are joined by Daniele Bolelli of the History on Fire podcast, and we chat about a wide variety of real world historical influences on A Game of Thrones/ASOIAF in History on Blood and Fire w/ Daniele Bolelli. Check out the first Aziz vs. Chapter episode: Aziz vs. AGOT Prologue, or go deep…into The Crypts of Winterfell! Asshai-by-the-Shadow, House Dayne Part 2, The Great Empire of the Dawn, and the accompanying Q&A, in which Aziz is joined by special guest Lucifer Means Lightbringer, are out! 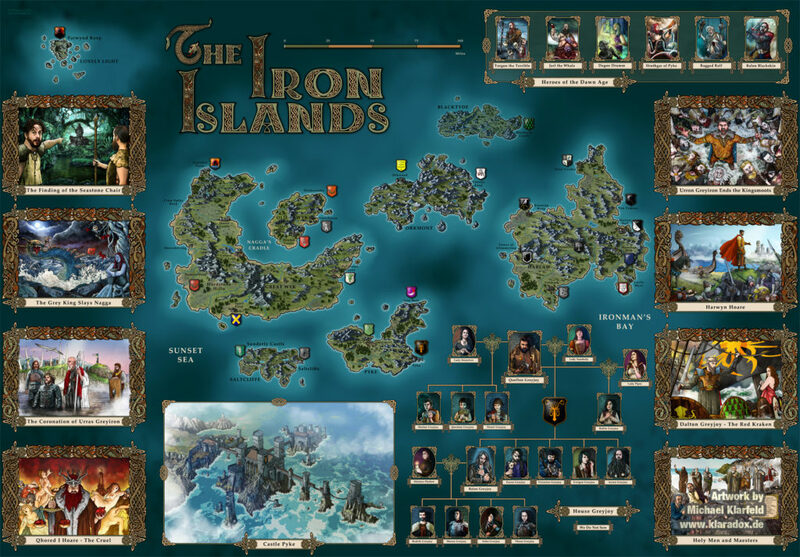 Iron Islands by Michael Klarfeld – Aziz, Ashaya, and Sean can be found in the family tree and historical event artwork – there are also tons of other fans to be found on this piece! Essos by Michael Klarfeld – Aziz and Ashaya can be found in the pantheon of deities! The third part of our series on Religion & Magic is out! 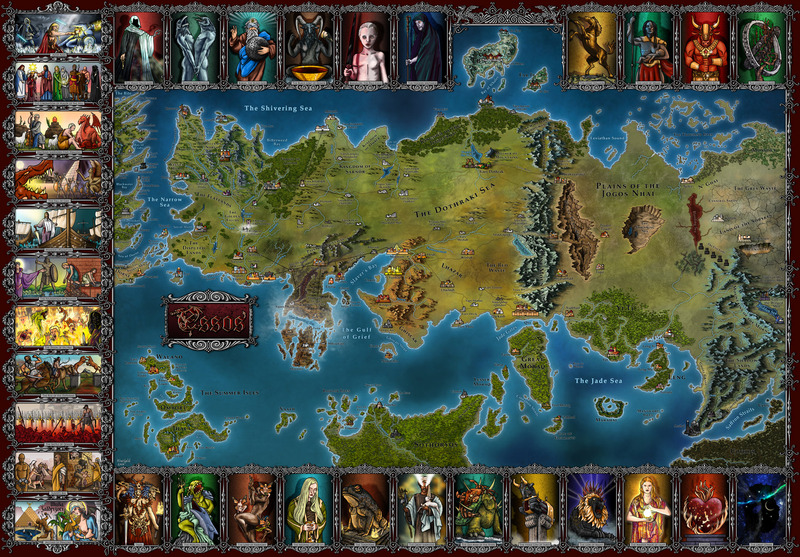 Take a tour of the various weirwoods of Westeros. Browse old episodes via our search feature. Type in a keyword and any episode that deals with the subject you’re searching for will be shown. Ashaya has compiled an exhaustive list of artists who have created pieces for A Song of Ice and Fire. You might be surprised how big this list is, but the art itself is the real surprise. With all the talent and variety of style, you’re bound to find something awesome. Check the various websites we’ve suggested. Some are sources that we use occasionally, some are just great places for ASOIAF fans. Feel free to leave comments with any suggestions or thoughts that you might have! Take a closer look at the play The Bloody Hand and one of The Winds of Winter sample chapters!